I love adventure bikes. For me riding one is like driving a tall sport utility vehicle. 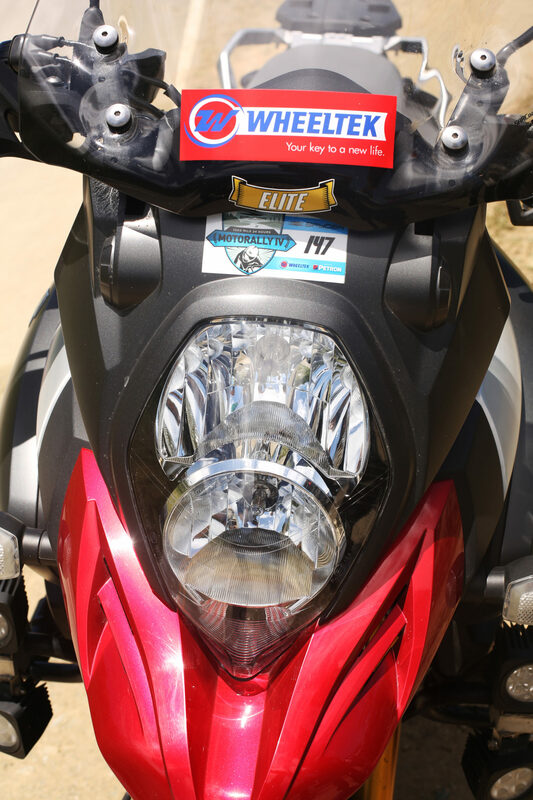 Aside from giving you the feeling of invincibility, they’re ideal for long distance touring because they are comfortable, they handle well, have plenty of usable torque for off road and everyday use, they provide a commanding view of the road and have ample wind protection as well. But like most SUVs, adventure bikes are tall. And I’m not, unfortunately. At 5-feet 7 inches tall, I hardly count as average height for Filipino men. Thankfully, the new Suzuki V-Strom 1000 abs I borrowed from Suzuki Makati / Wheeltek has a spring preload adjustable rear suspension. A few turns of the remote adjuster knob to soften it a little bit allowed me to reach the ground with one foot while seated on the comfortable, but sadly not height adjustable, saddle. But just barely. I still have to choose where I securely place my foot every time I stop to prevent me and the bike from tipping over. Then again, I don’t think you will have a problem if you’re taller than me. Adventure bikes are not the prettiest things on the planet, but for some reasons I find them very appealing. Perhaps it’s their rugged and minimalist styling, or it could be their tall and imposing stance that commands respect on the road. The V-Strom 1000 abs is that kind of bike. Devoid of too much plastics, its minimalist styling gives it an air of ruggedness and functionality. Equipped with a functional windscreen, its rake angle can be adjusted into three positions by hand, although for taller riders you will need tools to adjust its height. Nevertheless, the windscreen provides ample wind protection that you can ride even with your visor up. Our test unit already comes with the optional hand and crash guards that not only add to its overall street cred, but also provide crash protection. The stacked headlights, on the other hand, provide ample illumination at night, but a quartet of aftermarket LED floodlights significantly adds to better visibility. Finally, a beak-like front fender, which is becoming a must-have for this category, finishes the arguably distinctive front end styling of the bike. Pushing the starter button wakes up the 1,037cc liquid-cooled V-twin motor, settling to a smooth but distinctive two-cylinder rumble. Giving it a handful of throttle unleashes an authoritative roar, as this particular unit already has an aftermarket exhaust system. But the stock pipe sounds almost the same, albeit, a little bit subdued. 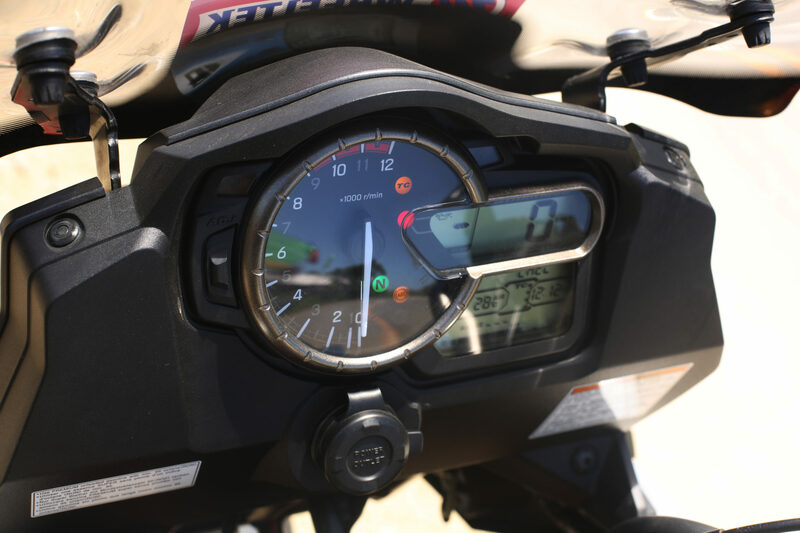 Putting the gear in first and releasing the clutch lever slowly sends the bike moving forward with just a quarter turn of throttle, demonstrating its good spread of torque even at low rpm. So it truly is a surprise after finding out that the motor only produces 99 bhp and 76 lb ft of torque when in reality it feels a lot more. Power comes progressively, if not explosively like the Ducati Multistrada 1200, up to its 9,000 rpm but torque peaks at 4,000 rpm so you really don’t need to explore the entire rev range to extract more power. Its delightfully flexible power delivery makes the V-Strom 1000 easy and relaxing to ride in any riding condition. Plus, rowing up and down the smooth-like-butter 6-speed transmission is a joy, never missing a gear during my entire testing. Also, clutch pull is light and finding neutral is easy. 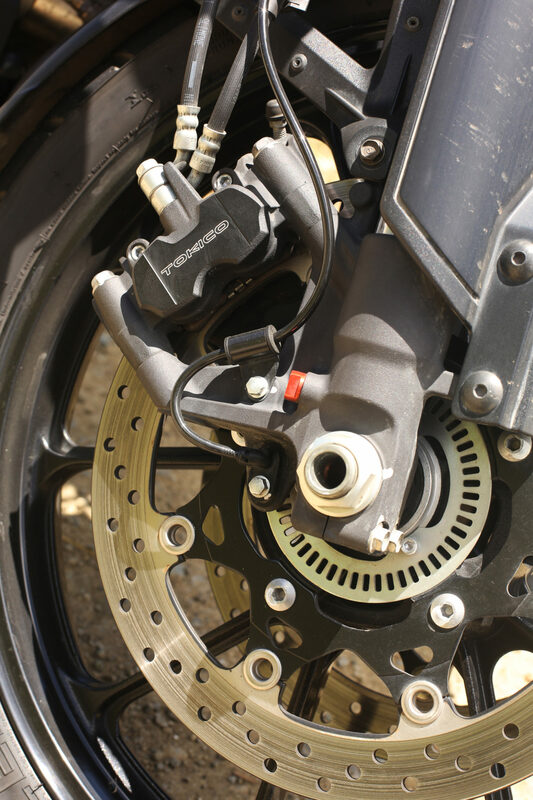 A welcome addition is a slipper clutch for smoother and drama free downshifting that previous generation V-Strom 1000 lacks. 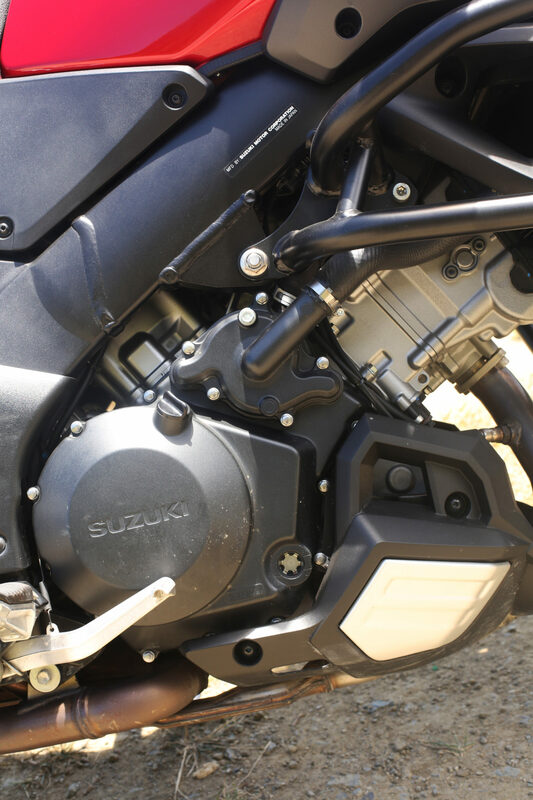 In keeping up with its European rivals, Suzuki equipped the V-Strom 1000 with a traction control system, which is a first for Suzuki motorcycles, for enhanced safety during wet weather riding. It offers two settings: 1 is the least intrusive, and 2 for maximum traction in slippery conditions. Completing the electronic rider aids is the excellent ABS system coupled to the equally excellent Tokico monobloc front calipers that provides reassuring and fade-free stopping every time. 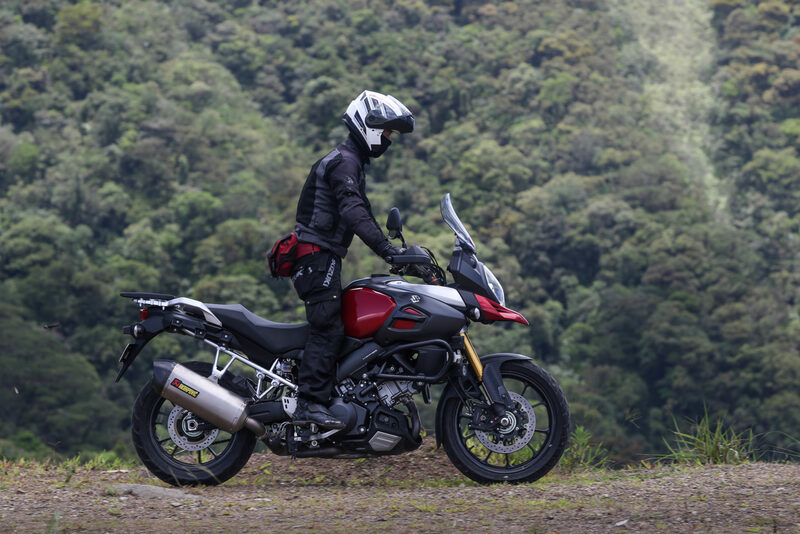 As an adventure bike, the V-Strom 1000 suspension is softly tuned for comfort rather than for agility. 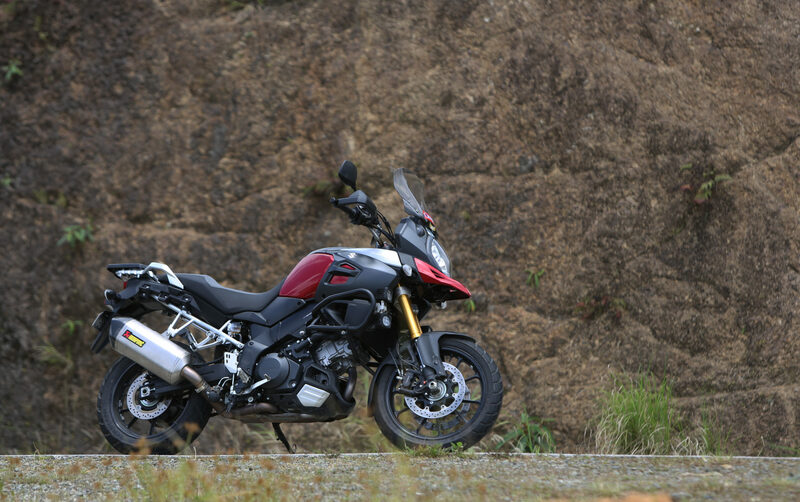 In front, the V-Strom rides on 43mm inverted forks while a spring preload adjustable monoshock resides in the rear. These are all mounted to a new twin spar aluminum frame that feels light and rigid. This is evident on quick left to right transitions, and on rough terrain. 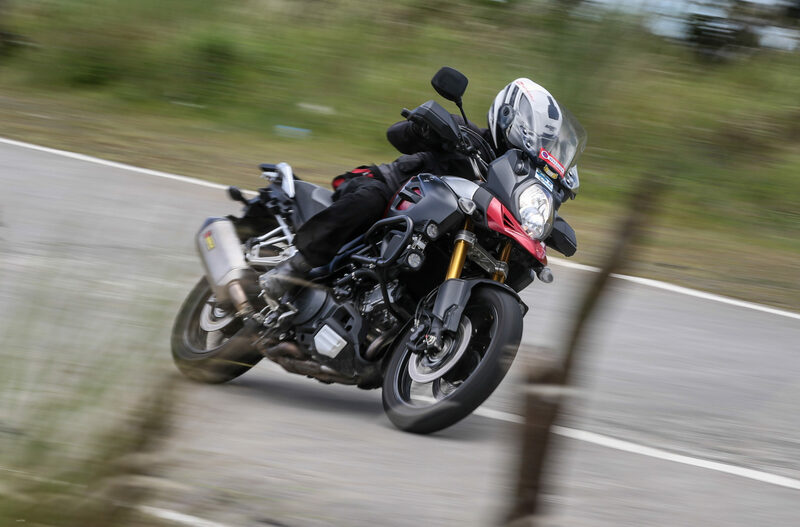 For a softly sprung bike, the V-Strom 1000 can be easily tossed around in corners, using the wide handlebars that provide plenty of leverage to full effect. Stiffening the rear spring preload using the remote adjuster knob helps quicken the steering a little bit. Not much, but it improves agility during spirited riding. The stock semi-knobby Metzeler tires mounted on 17-inch rear and 19-inch front cast-aluminum rims provide generous amount of grip in different terrains. Riding on the V-Strom 1000 almost made me forget I was riding a tall bike. From the saddle, there’s a natural reach to the tall and wide handlebars. View to the front is superb, and the instrument cluster is easy to read even in bright sunlight. 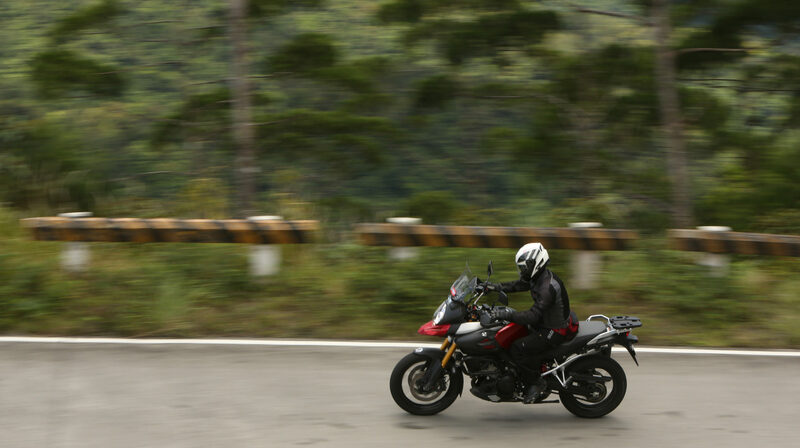 Ergonomically speaking, one can certainly spend a whole day riding the V-Strom and not feel fatigued or stressed out. The only time I became stressed while riding it was during heavy traffic, and it’s not even the bike’s fault having a tall seat height. I just wish Suzuki offered a low seat option for riders like me. But aside from that it’s hard to find any fault on the V-Strom 1000 because seriously, Suzuki designed and engineered the bike from the ground up very well. What’s more surprising about the V-Strom 1000 is its price. 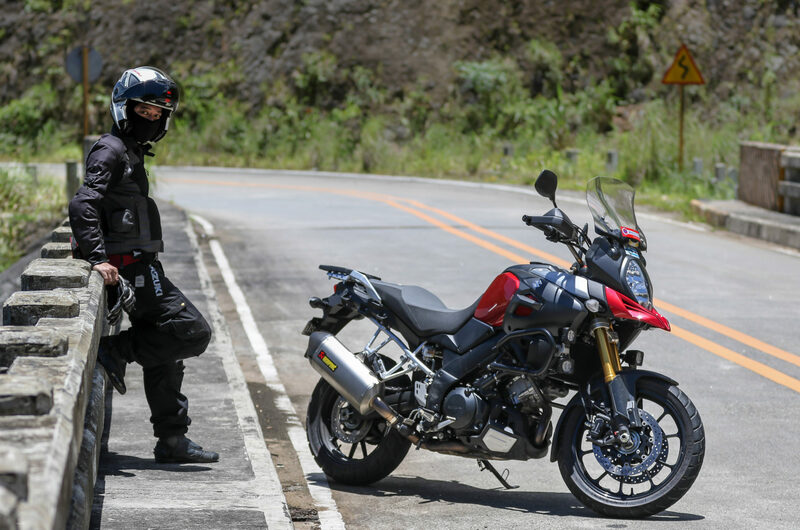 At just PhP 699,000, the V-Strom 1000 is even cheaper than BMW’s entry-level adventure offering, the F700 GS, at PhP 820,000. So for those who want a comfortable and capable adventure bike with plenty of extras, the V-Strom 1000 abs is truly hard to beat.